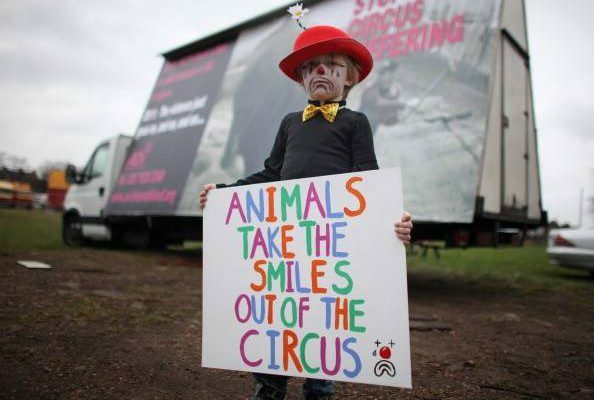 BWC started campaigning against animal circuses in 2009, and this has gained momentum due to the Carte Blanche expose which has seen public outrage in the form of regular protests against Brian Boswell's circus, in particular. BWC is working with welfare organisations to a) keep animal circuses out of the Western Cape and b) get a ban on wild animals in the circus, nationwide. We have discussed the issue in the papers, on radio, approached the venues over the years and held demonstrations and leafleted, raising the subject one on one with the public. In one instance, when over 1000 leaflets were handed out to people in a morning, only 2 people were in favour of the circus. BWC was complimented and commended by many who gladly took the leaflets, and many others spontaneously commented that they never supported animal circuses. 2013 alone has seen well over over 12 000 leaflets distributed in two months and several BWC demonstrations in both CT and in Jhb.